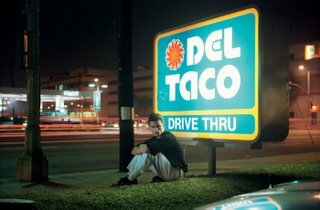 Here’s my review of the 125-photo Philip-Lorca diCorcia retrospective that’s on view at Boston’s Institute of Contemporary Art. His work’s insistent artificiality, which seems an exploration of advertising and fashion photography, drains out feeling and soul. Many of his people seem more zombie than human. It frequently leaves me fleeing indifferent. 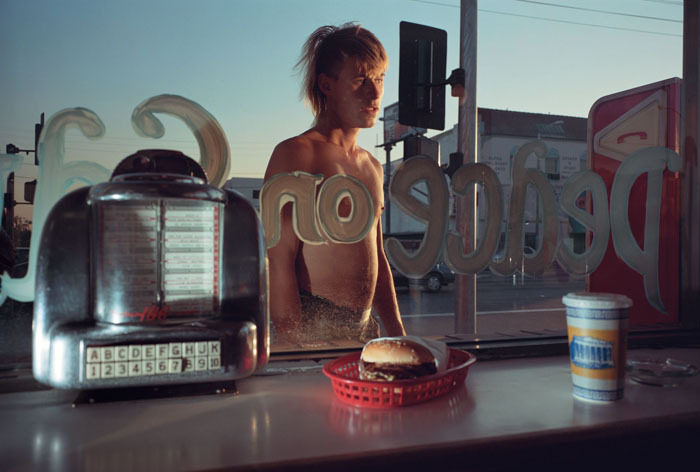 DiCorcia was born in Hartford, Connecticut, in 1951; earned a bachelor’s degree from Boston’s Museum School in 1975; and was included in ICA’s 1995 exhibition that named “Boston School” photography. 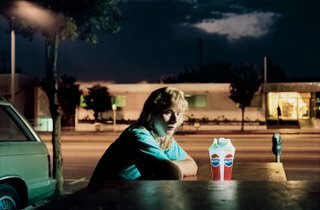 His work is often compared to the Jeff Wall, Cindy Sherman and Gregory Crewdson, other photographers who elaborately stage their scenes. But Annie Leibovitz may be a more apt comparison, because, like Leibovitz’s portraits, diCorcia is often playing in the area of documentary, but projecting his ideas, his look onto his subjects. This isn’t a documentary about prostitutes, but fictions depicting a Hollywood myth of prostitutes. DiCorcia is thinking about the idea of selling images – whether it’s photos, or people using their looks to sell themselves, or people hiring prostitutes to fulfill a fantasy in their heads. “Philip-Lorca diCorcia,” Institute of Contemporary Art, 100 Northern Ave., Boston, June 1 to Sept. 3, 2007.